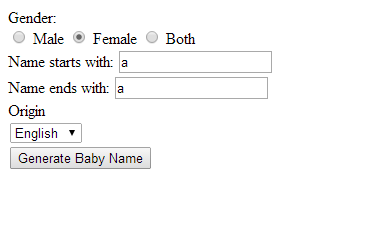 I am happily finished one project, a baby name generator. I don’t have a name database, yet, but I will consider having one. The feature is simple, you put in criteria, it will return a list of names matched your criteria. Tell me about your opinion! I was playing DOTA2 for a while in my friend’s room, Mampang, Jakarta, Indonesia. Remember my post about Bolt Super 4G earlier? 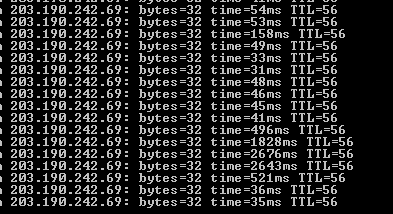 Well, I lost 2 games because the connection was very lagged, suddenly. Author Aditya Yedija SitumeangPosted on 2014-03-22 Categories Journal, LifestyleTags Indonesia, JakartaLeave a comment on Lag Attack! Hi everyone, I have just finished another project. A very simple BMI Calculator using PHP. Hi! This blog is getting lame and its contents are starting to rust. You all, the .NET developers must have known LINQ. For some years LINQ has provided us an easy and fast way to manipulate with our lists of objects. Same here happened to me. As I have made some applications and webs, I stumble upon a client which server are so old, it did not support DBML. Whoa?! How can it be? I don’t know either but about hundreds of hours of testing and about fifty testing data are wasted because they can’t use DBML. After knowing that their server did not support the technology (which is known after so many failure and they refused to be blamed), I offer them to use native way of using SqlConnection and SqlCommand objects. They agree and it is my job again to repair my codes. The most surprising thing is that I forgot how to use the native way. The SqlConnection way to connect to database and use SqlCommand to execute your TSQL (TSQL because I use SQLServer of course) had became a new thing for me, again. I searched and what I got are silly tutorials in the internet. That means I did not search really well. Then I remember http://www.dotnetperls.com/ and they have the material that I needed. Fortunately everything is going well, though it took me quite a long time to solve the same problem but with native way. From the story, I know that I have forgotten what was told to me long time ago. “A professional knows the basic and lived the basic. You must not google for something that you’ve lived on.” I have lived that basic way of connecting to database and creating my own connection string. But then, I forgot that way because I live too long in easy way such as LINQ, DBML, plugins from VS, etc. Just like Riddick had been blindsided by the glamour and power when he was the leader of the Necromongers, we programmers, developers, maybe we have been blindsided too, by so many plugins and easy tools that we use.